Hong Kong: A major tsunami struck China´s southern coast in 1076 causing "drastic cultural decline", Chinese researchers say, in a study with implications for a densely populated region boasting multiple coastal nuclear power plants. There is a growing body of scientific evidence suggesting an earthquake in the Manila Trench sent a wall of water coursing into what is now China´s Guangdong province around a thousand years ago. Now scientists believe they have narrowed down the date to an exact year -- 1076 -- and say the new data should set alarm bells ringing over whether enough is being done to defend against future tsunamis. 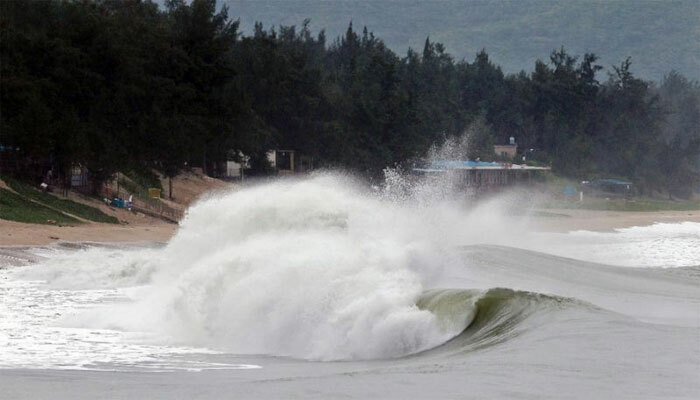 "This study confirms the risk of tsunamis in the South China Sea," the teams from the University of Science and Technology and East China Normal University wrote in January´s issue of Chinese Science Bulletin. A number of nuclear power plants sit on China´s southern coast including at Fuqing, Daya Bay and a soon-to-open plant at Taishan. The wider area is also one of the world´s most densely populated regions and includes multiple major coastal cities such as Hong Kong, Macau, Xiamen, and Quanzhou. The vulnerability of nuclear power plants to seismic events has become a major cause for concern ever since a 2011 earthquake and subsequent tsunami crippled Japan´s Fukushima power plant, the worst nuclear accident since Chernobyl. Another team found shards of ceramics in tsunami sediment from the Song Dynasty (960-1279) on Nan´ao island, some 250 kilometres (155 miles) up the coast from Hong Kong´s eastern side.